Our excellent friend the superb Indonesian artist Sheila has completed the image for the cover of our upcoming translation of Alfred Raquez’s book of travel through Laos in 1900, Pages Laotiennes, to be published this year in a two volume set by NIAS Press as Laotian Pages. 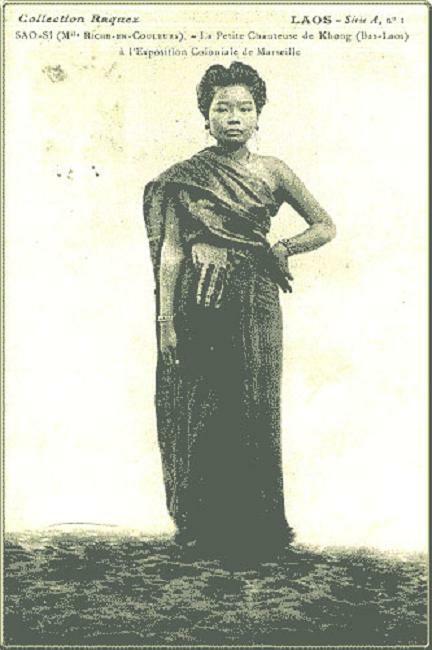 The image uses Raquez’s postcard of Sao Si, one of the Laotian performers he brought to Marseille for the 1906 Colonial Exposition. 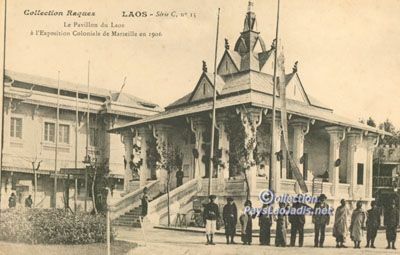 The building is based on the library at Wat Si Saket in Vientiane, which also was the model for the Laos Pavilion in Marseille in 1906 (see below). The pattern on the woman’s sinh (the scarf) is based on a traditional textile pattern from Laos. Amazing job, thank you Sheila! 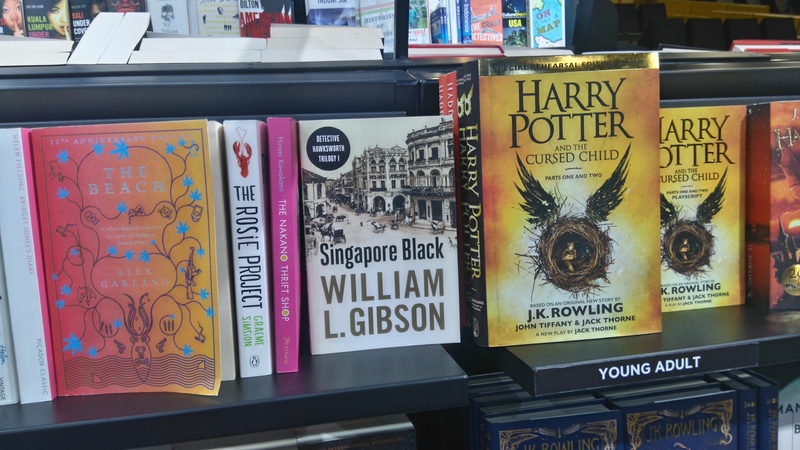 Here’s Singapore Black at Terminal 3, Soekarna-Hatta airport in Jakarta…on the shelf next to…izat a Harry fricking Potter book? If I sold a tenth of what Rowling sells I’d still be satisfied. 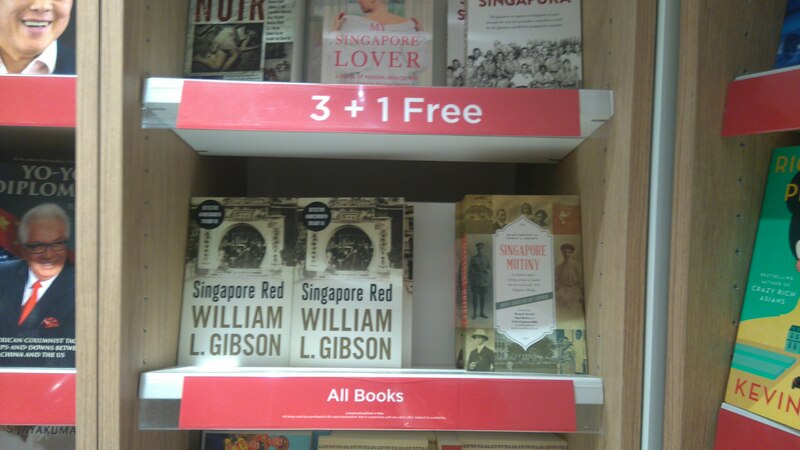 And here is Singapore Red on the shelf at Terminal 3, Changi in Singapore, with other swell books from Monsoon Books.